Campus dramas have always been one of the most popular themes among viewers. It's not surprising since the innocence of pure love, youthful energy, camaraderie and light hearted nature of these shows make them fun to watch. In case I piqued your curiosity, here are some Chinese dramas you guys might like. 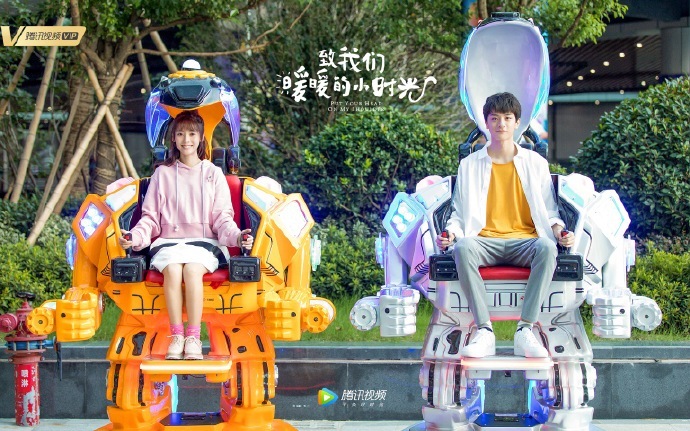 Yang Yang and Zheng Shuang starred in Love O2O 微微一笑很傾城, a drama about love, school and online games based on a novel by Gu Man. Yang Yang's popularity skyrocketed because of this series and many a girl have fallen for his character, Xiao Nai. Zheng Shuang's character Bei Weiwei was equally lovable, having both beauty and brains. A Love So Beautiful 致我们单纯的小美好 is a story of how opposites attract based on the novel To: Our Pure Little Beauty by Zhao Qianqian. Hu Yitian plays smart and handsome Jiang Chen while Shen Yue plays the artistic and sunny Chen Xiaoxi. Being the complete opposite of each other, in terms of height and skills, it was great to watch the couple work out their everyday lives and the drama quickly gained a lot of fans. Liu Yuran's popularity rose significantly after his role in With You 遇见最好的我们 and his star power has been known as one of the best among the new generation actors. He starred together with Tan Songyun and the show has been voted as one of the top 10 campus dramas. The story is based on a novel by August Chang'An. My Huckleberry Friends 你好舊時光 is a sister production from the people who made The Best Of Us. 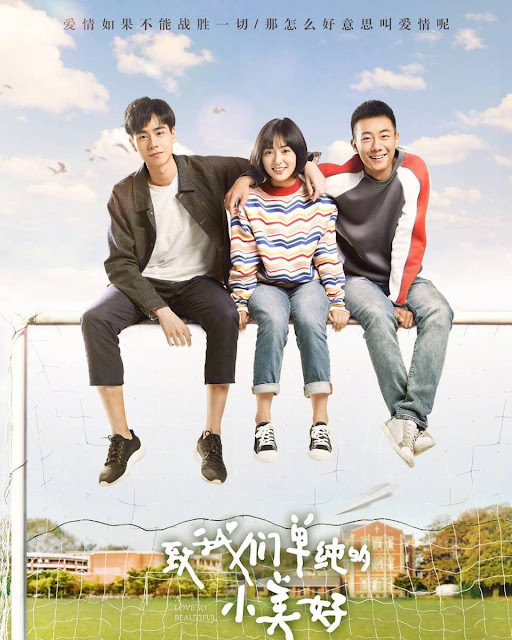 It tells the story of students played by Li Landy and Steven Zhang who along with their friends tackle the daily pressures of being young. The story is also based on a novel by August Chang'An. Rush To The Dead Summer 夏至未至 is a stroll down memory lane for most people as the school uniforms and campus scenes lead to some nostalgic moments. It's based on the novel by Guo Jingming and tells the story of a group of friends played by Chen Xuedong, Zheng Shuang and Bai Jingting. Suddenly This Summer 忽而今夏 may not be as famous as the previous ones but it has been well received by viewers. Based on a novel Ming Qian Yu Hou, it stars Bai Yu as Zhang Yuan and Bu Guanjin as He Luo. The drama gives the viewers a glimpse of how things are in long distance relationships. Compared to the previous dramas, Stand By Me 一起同过窗 isn't as sweet or relaxed. The main characters are not the usual idols that star in campus dramas. Even the story isn't really romantic. However, Stand By Me brings to the audience all the nostalgia of university life like club activities, course selection, skipping class and working to pay dormitory rent. It may not be as beautiful or glamorous, but this series deals more with real life that normal university students experience. It is also the only drama on this list that is not adapted from a novel. When We Were Young 人不彪悍枉少年 is set in 1996 and tells the story of a group of high school students who face the ups and downs of life together. It is adapted from the novel of the same name by Yi Shushan. Wan Peng plays Yang Xi who is a school athlete. Zhang Yao is Li Yu who is Yang Xi's childhood friend. Neo Hou is Hua Biao, the gifted and rash transfer student. Unrequited Love 暗戀橘生淮南 starring Zhuyan Manzi and Zhao Shunran is adapted from the novel of the same name by August Chang'an. Unrequited Love is part of her trilogy of novels which include With You and My Huckleberry Friends. In December 2018, it was announced that another version has started filming. Hu Bingbing will play Luo Zhi while Hu Yitian will play her crush, Huai Nan whom she follows around. Put Your Head On My Shoulder 致我們暖暖的小時光 is adapted from the novel by Zhao Qianqian and is expected to be aired this year. It is the sister production of A Love So Beautiful and stars Xing Fei and Lin Yi. It follows two people's sweet and funny love story. Love O2O is the best with very high rewatch value. Too bad there aren't more dramas like this. Love O2O was interesting at first. It had all the ingredients. Very big plus that the lead characters were perfect in every way -no dumb girl and smart boy cliche, both were academically excelling-. Even a little flaws would’ve been great. Like Yi Xiao Nai He would’ve had a weakness. Luwei Weiwei had a weakness which was a slightly lower self confidence and the fact that she was bullied. Sensible ’’villains’’ of the story was very refreshing. The lack of actual conflicts, the very annoying second lead characters the draggy plot and what I consider the biggest flaw - stiff acting from both YangYang and Zheng Shuang was a turn off. Towards the end, the chemistry wasn’t palpable. They looked fine as game characters but too stiff and awkward irl. Also, Zheng Shuang was terrible thin… I think stars shouldn’t mind the comments on Weibo because they call already thin actresses fat and that shows. Zheng Shuang’s legs were seriously terrifyingly thin. Watched 4 out of ten here and among it, Love 020 > When We Were Young >>>>> A Love So Beautiful >>>>>>> With You (I dropped it after a couple of episodes. Not interested to watching the rest. I will wait for the upcoming dramas. I don’t understand why the heck they’re making an another version of an already existing drama Unrequited Love. Especially Hu Yitian’s stiff acting (well, he’s had only one drama out and there was some room of improvement to do there) would ruin this drama. 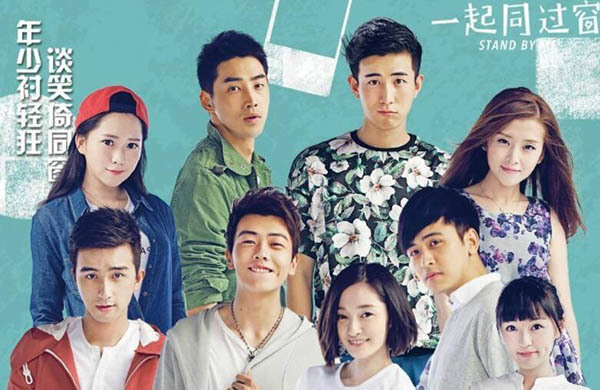 The top Mainland youth dramas at the moment have to be My Huckleberry friends, A Love So Beautiful and With You imo. The story was nice although some had pacing issues. Acting was refreshing too.